NASHVILLE, Tenn. Jan. 28, 2019 /The Upper Room — El Cenacle, the Catalan edition of The Upper Room daily devotional guide, published its first issue this month, making it the devotional’s 35th language edition. Catalonia, an autonomous region in northeastern Spain that has in recent years made global news for its referendum on independence from Spain, is famous for its rich culture, cuisine, and history. 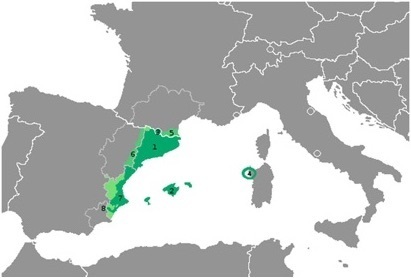 Catalan is the official language of the region, with more than eight million Catalan speakers in Spain. Comunitat Ecumènica Cristiana Jaume Masvidal (CEC-Masvidal), an interdenominational missionary organization headquartered in Barcelona, will produce El Cenacle. “I have known about The Upper Room since childhood,” Alícia Pallàs, president of CEC-Masvidal and chief editor of El Cenacle, wrote in an email. “As a young girl, reading the devotional [in Spanish] felt like looking through a window into the world with a faith focus.” By reading the devotional in their own language, she hopes El Cenacle will provide people with a clearer picture of faith, one in which they do not have to view through another language. It is her prayer that El Cenacle will help people grow closer to Christ, become more familiar with the Bible, and develop a daily habit of study and prayer. 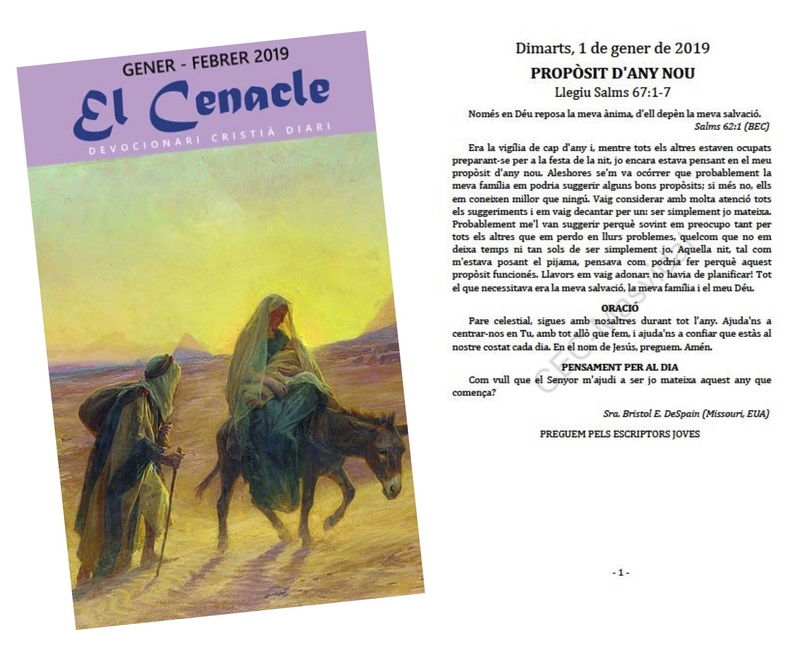 Starting with the January/February 2019 issue, people can purchase El Cenacle in five formats: mobile application, digital, email, audio/ MP3, and print. For more information about El Cenacle, please read A Daily Devotional Guide for Catalonia. The Upper Room is a global ministry dedicated to supporting the spiritual formation of Christians seeking to know and experience God more fully. From its beginnings as a daily devotional guide, The Upper Room has grown to include publications, programs, prayer support, and other resources to help believers of all ages and denominations move to a deeper level of faith and service. The Upper Room is a part of Discipleship Ministries. Visit UpperRoom.org to learn more. Nicole Curtis serves as Communications Manager of The Upper Room.